More than 7 years in massage therapy made me feel at home, but life called me back to where I grew up. In 2005, I returned to Pennsylvania to assist my mother with my ailing father’s care. Although my desire to assist my family was paramount, I felt it would be the end of my success and was reluctant to come home. Once again, the adage of doors closing and opening would prove true. A touring dance company was passing through and I was contracted for their weekend engagement. At the end of my first shift, the physio-therapist came to me and stated: “I am unsure where you received your training, but dancers claim you rank as one of the top five therapists they have ever experienced.” I joking asked how I could become number one, and three months later I found myself traveling to Europe with the award-winning Irish dance company Riverdance, a position I have maintained for many years. In 2006, my father died. The original plan of my mother returning to Miami Beach with me was placed on hold as she decided she needed more time to adjust. (In truth—most, including myself—anticipated she would have died within a year of my father. They were inseparable.) This plan was never engaged and over the next decade, her health declined. Having made a promise that I would not place her in a nursing home, allowing her the dignity to die at home was now my main objective. Hospitalizations, rehabilitation centers, doctor visits, follow-up appointments for broken bones, near-fatal burns, hydrocephalus, dementia, Alzheimer’s, strokes, and eventually, total body paralysis…all this now occupied my time. I mention this because my prior education, training, and belief in a more holistic way of life has been cited for creating a better quality of life and prolonging a more comfortable existence for her. I was better informed and equipped in dealing with her doctors, nurses, and aides. Having performed over ten thousand professional massages, I have watched people with aches, pains and discomfort leave my table feeling healthier and happier. Individuals who once thought surgery or a lifetime of medication was their only option find a new and comfortable quality of life. Most clients share their enthusiasm of what therapeutic massage can do with their family, friends, and coworkers. Acceptance of massage therapy within westernized medical practice continues to grow as therapists are becoming better educated. I am beyond grateful for each and every person I have massaged for allowing me the privilege in helping him or her. I am inspired and impassioned with each new course or modality I learn. 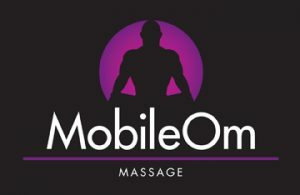 I look forward to discussing how Mobile Om and myself can best help you on your road to happiness and healing.